I purchased a pen long time back along with Jinhao 156 on insistence of my wife, yeah there are certain things in life you cant say no to. 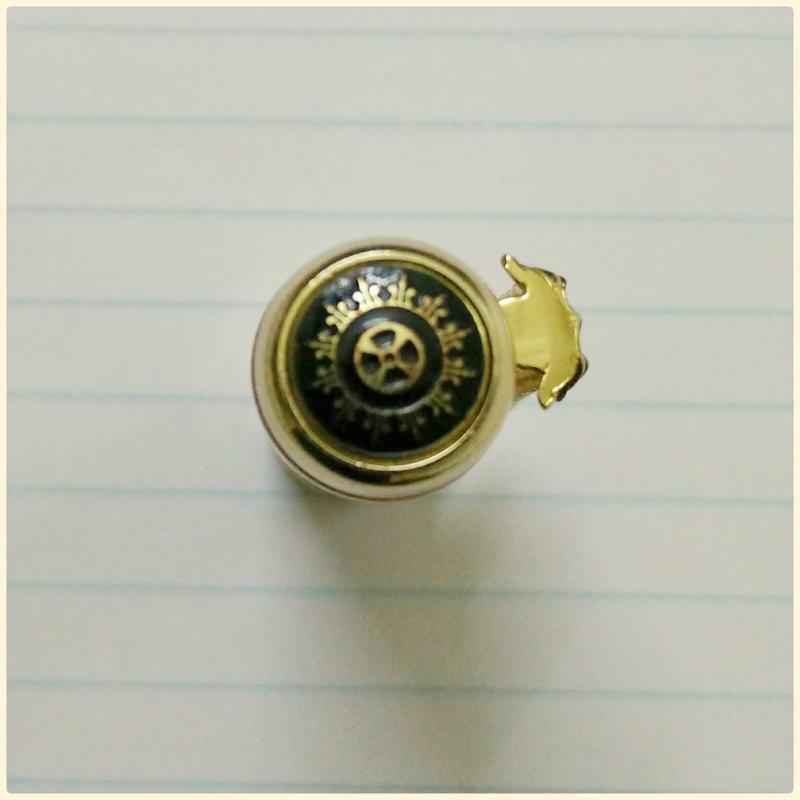 The pen is Golden Dragon – “Jinhao 1200”. I am actually very happy with the pen that i bought for Rs. 350 ( US $6) only thing that sometimes bothers me is the color but yeah it actually wants attention from people some positive some negative. 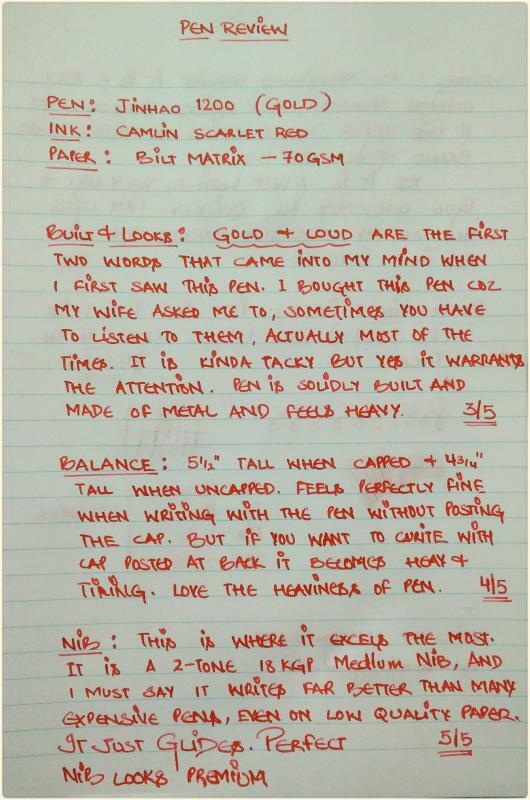 But if you talk about the pen writing experience its a killer. 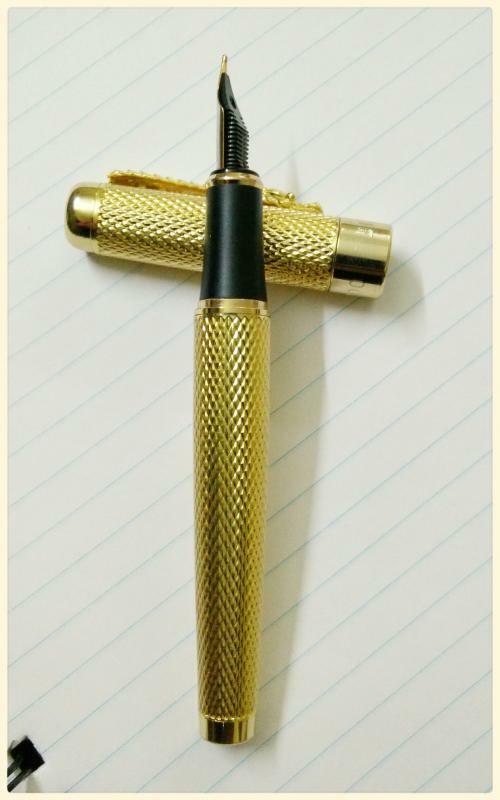 The pen is tacky to look at, very loud Golden Color. 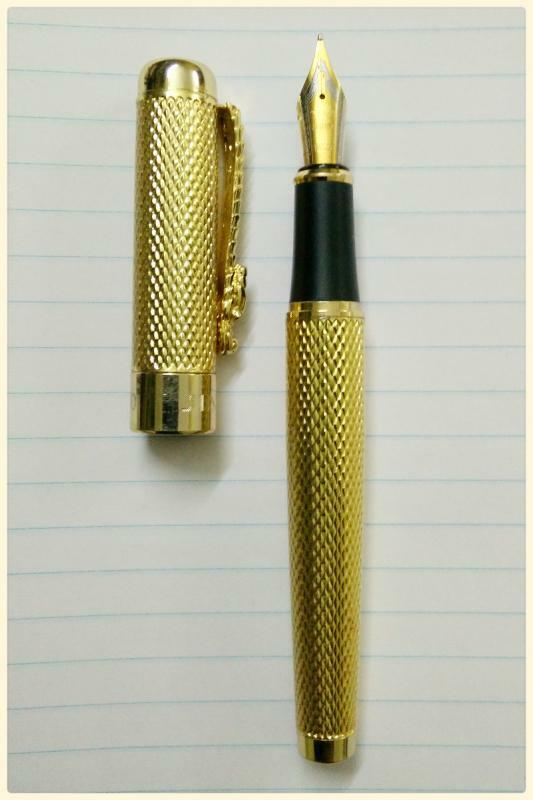 The pen comes in two colors, Gold and Silver. 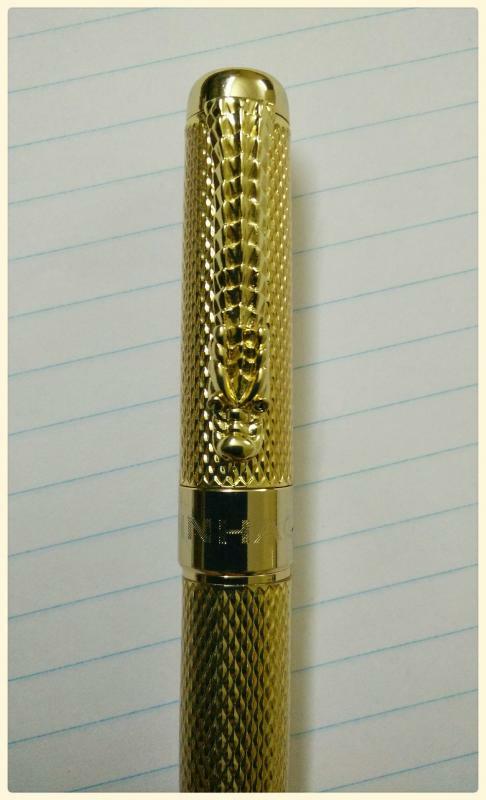 It is made of metal which makes it a heavy pen and comes with unique clip design. 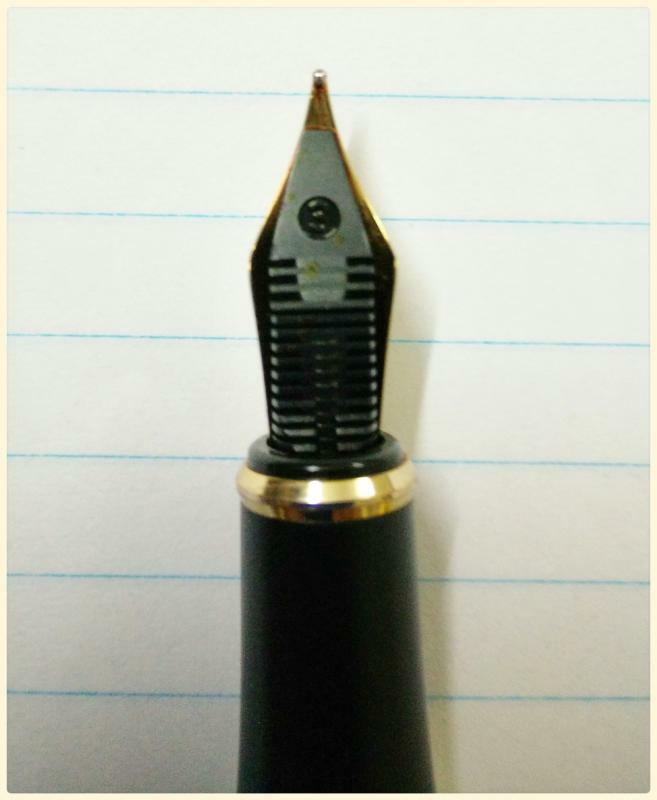 The nib is two tone which is carved beautifully and marked 18KGP. The grip section is made of plastic. The converter supplied with the pen hold okay amount of ink not great but acceptable. Dragon clip on the pen had two red small fake stones in the eyes of dragon which have come out after prolong use or maybe not glued properly. 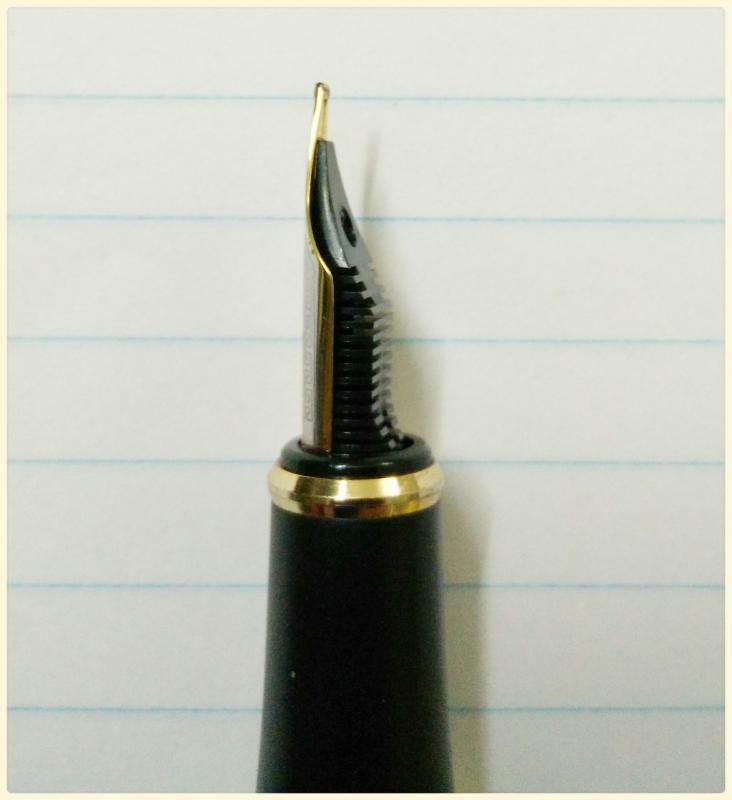 The nib is where this pen excels. It is an absolute delight just glides through most of the paper without giving feedback. 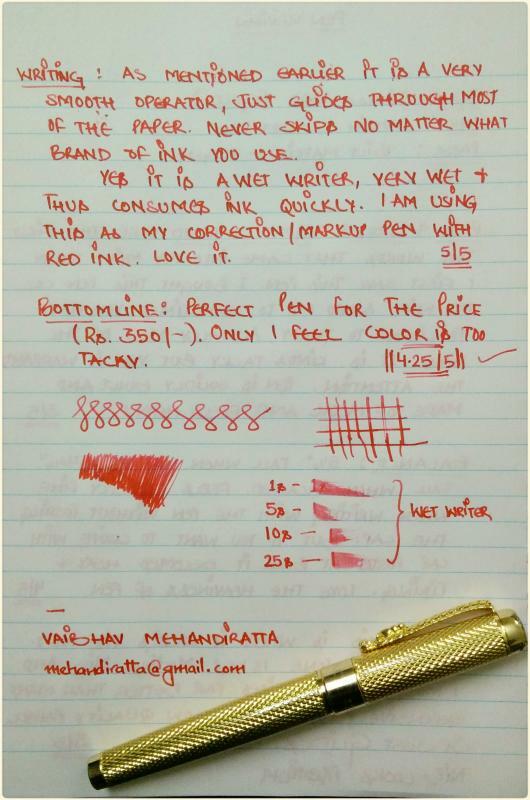 It is a very wet and juicy writer, Ink takes time to dry. Two tone 18 kgp nib writes excellent medium. The pen is heavy and this posting the cap would make it further heavy. 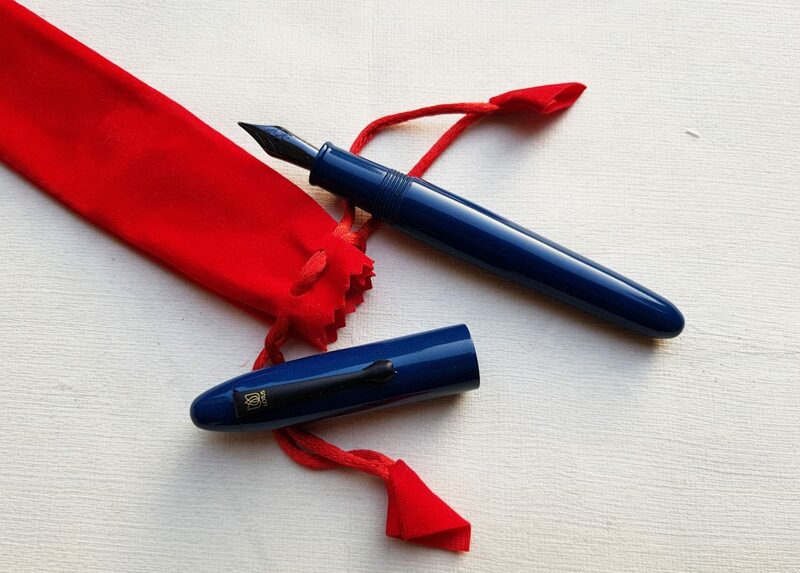 I personally like writing without posting the caps and also i like the pens which are bit on the heavier side, so i liked the pen and since it glides through most of the pages with ease it feels really comfortable and balanced without the cap. The ink filling mechanism is through converter which actually is an upgraded version of the converter supplied in pens like Jinhao 599. It is piston converter rather then push pull converter supplied with Jinhao 599 or Jinhao 156, thus it is better. Again the amount of quantity it hold is not that large. Following is my handwritten review along with some images. 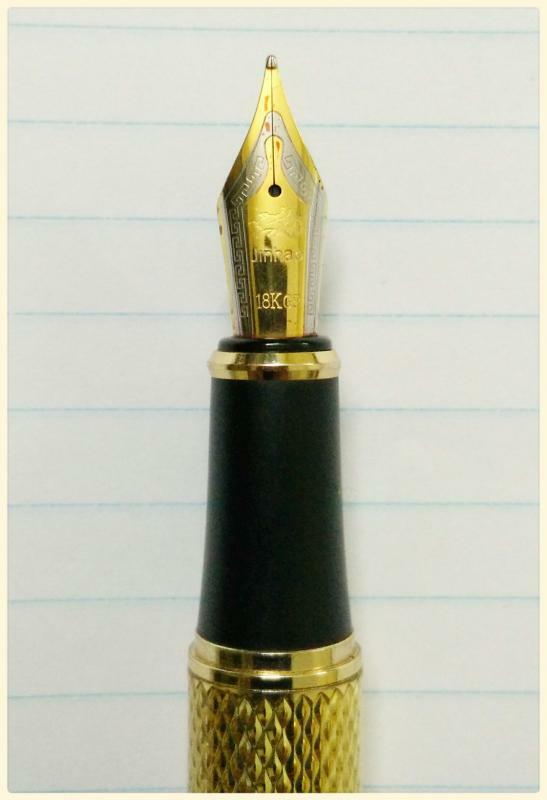 Must buy for the nib if one can carry the this golden color at ease. I must say it was procured for about Rs. 400 (US $ 6.5) which is very less for the way it writes. The bottom line is the pen for the price is a superb writer.